Ronnie is educated in Mental training, Team coaching and as a Athletics coach. He’s coaching clients from Sweden, Denmark, India, Norway, Netherlands, Spain, Brazil, Kosovo. 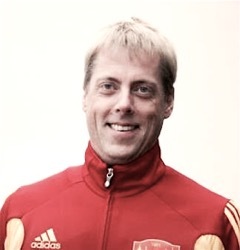 The athletics and teams he coaches are for example in the sports of Fotboll, Handball, Motocross, Swimming, Basket ball, Figure skating, Tennis, Table tennis and Floorball. He is coaching the motocross driver Jonatan Mattsson and Tobias Gustafsson Storvreta IBK and Swedish national team who won National championship 2018. Tobias was selected the best floorball player in the league and to the 8:e best players in the world. The World champions in floorball Louise Wickström and Jennifer Stålhult have been coached by Ronnie. In cooperation with Lars-Eric Uneståhl he implanted Mental training at Chandigarh Law Tennis Academy in India. In this first initiative of its kind, the young champions and tennis coaches became trained in the skills of visualization, team problem solving, role of mind in optimizing performance, stress management, mindfulness, goal setting and self development. The ultimate goal for the players is excellence in performance. He have had the joy to be apart as mental trainer in the successful teams that became champions in football Tyresö FF and the basket ball team Telge Energi.